On Monday February 6, 2017, the Palestinian Authority's (PA) attorney general, Ahmad Barrak, banned a novel written by Palestinian novelist Abbad Yahya for “violating public morals and decency “. The crime novel, “A Crime in Ramallah” (2016), was banned following an investigation by the office of the Palestinian Public Prosecution. In a statement  from the attorney general's office, the ban was issued on the grounds that the novel contains text and terms that violate “public modesty, morals and decency” which would harm citizens, particularly minors and children. The statement adds that the novel breaches international treaties and a number of Palestinian laws, including the Press and Publications Law, the Penal Code, and the Palestinian Child Law. Yahya confirmed in a Facebook status update  that all copies of his novel have been pulled from bookstores, libraries and other selling points in the West Bank, and that he, the publisher, and the distributor have all been summoned for investigation over whether or not they have obtained the required permissions and licenses. What is important here, dear friends, I am expressing my utmost concern, astonishment and shock at this decision and all its consequences of investigation and confiscation. I'm surprised and worried about the status of freedom of creativity and expression, publishing, and writing, and I am really shocked by what happened and the way it happened! I believe, and this for all friends working in the cultural field, we are facing an unprecedented challenge, and a clear position is needed from everyone. I am sure we have, in Palestine, surpassed such case. No one will accept threatening what was achieved of literature and culture in Palestine, through harassment and confiscation. I hope it will not become worse. Quite frankly, I am very concerned. While the attorney general affirms that this decision doesn't violate freedom of speech, this is the first incident of its kind where a book is being investigated or banned in Palestine. 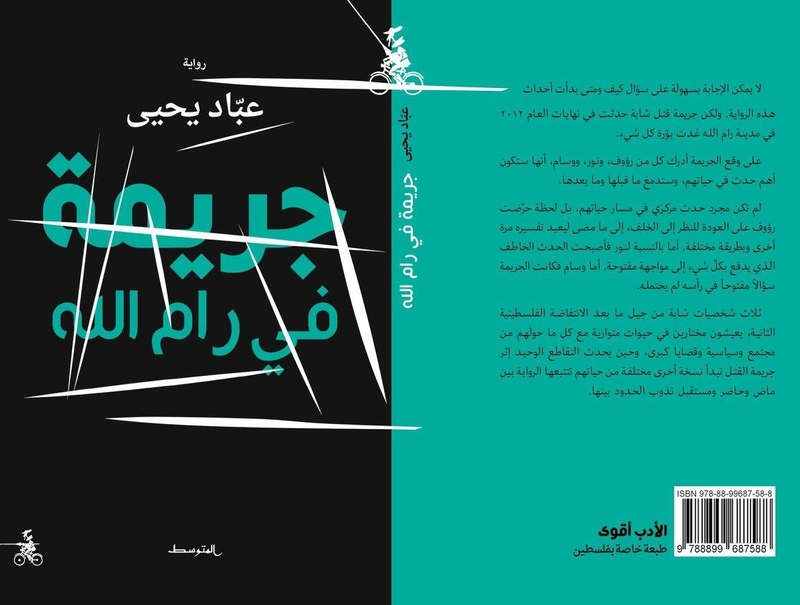 The Palestinian cultural magazine, Fus7a, reported that the ban follows an earlier controversy in the Palestinian city of Nablus, north of the West Bank, where a discussion event of the novel — which was scheduled to take place at the municipality's library — was cancelled by the city's mayor, Sameeh Tbeileh. Palestinian activists and writers have expressed their anger on social media over the banning of the novel. While some were sharing Portable Document Format (PDF) links for the novel, others were sarcastically thanking the PA for giving the book free publicity. The Palestinian Authority, which has banned the books of Edward Said years ago, is banning today a novel called ‘A Crime in Ramallah’ and the Attorney General is summoning its author, publisher and distributor for investigation. Sign on the statement below. I am not defending the book as I haven't got it yet. But I am condemning confiscating books and guarding people's minds. I will start today reading the novel A Crime in Ramallah by writer Abbad Yahya. The ban order has made me more determined to read the work looking for the rationale behind the ban, despite my refusal to force the law into the creative process. This needs a long discussion before getting into its intertwined details. While some defended the novel, other Palestinians have supported the ban, citing its sexually explicit content. Photos of some marked pages in which a boy describes, in first person, his initial experiences of masturbation, were shared on Facebook in protest against the book.